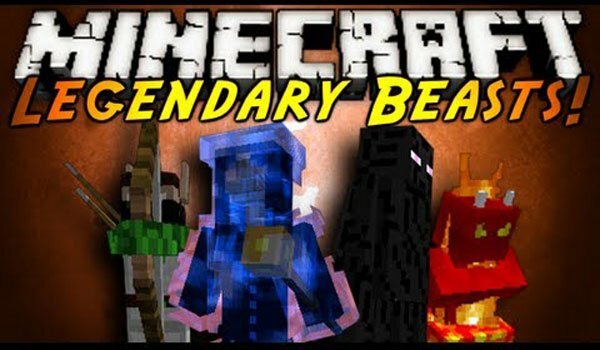 Comes a new mod called Legendary Beasts 1.6.2 and 1.6.4 aimed at adding to your Minecraft legendary beasts, so you can fight with them. For now, the mod adds 4 types of legendary beasts, these are: Elf Hunter, Lord Ender, Lightning and Fire Demon Spirit. Remember to activate “generate structures” when creating a new world, as this will generate prepared structures in the mod. When you’re done with one of them, will drop the sacred eyes that will allow you to find other nearby temples. How to install Legendary Beasts Mod for Minecraft 1.6.2 and 1.6.4? Paste the downloaded mod file into “.minecraft / mods” folder. Enjoy 4 beasts with which to fight in Minecraft!